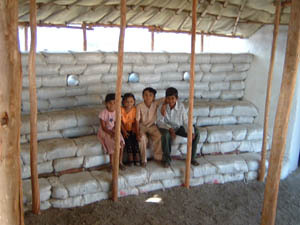 The technique of building with earthbags has been finding adherents around the world. In addition to the experiments of Nader Khalili in the United States, I know of projects in South Africa, Uganda, Kenya, Afghanistan, Mexico, Japan, Cambodia, China and India. 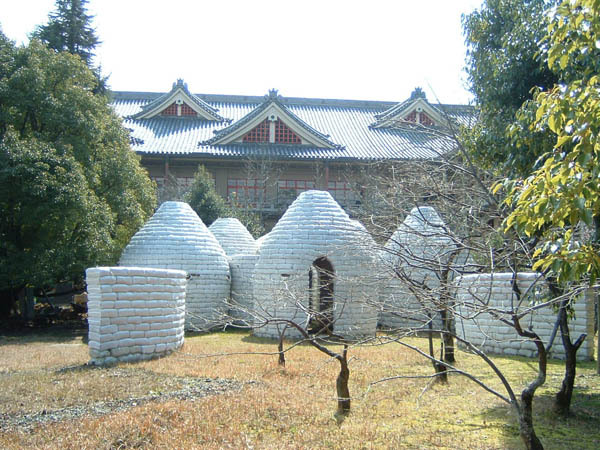 One person who has organized many such projects is Professor Akio Inoue of Tenri University in Japan . In Entebe, Uganda, the Tenrikyo Mission Center assisted Professor Inoue and some of his students with building some small earthbag domes, where they used the abundant soil taken from anthills to fill the bags. 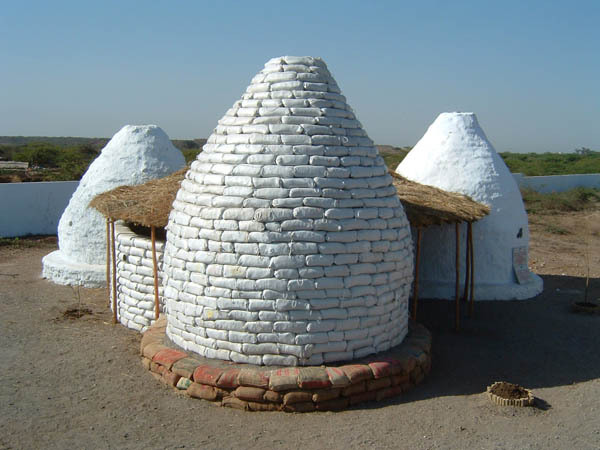 These domes are being considered for use as refugee shelters in the region, because they provide good protection from bullets, fire, wind, and rain.much better than the conventional thatched shelters or tents. 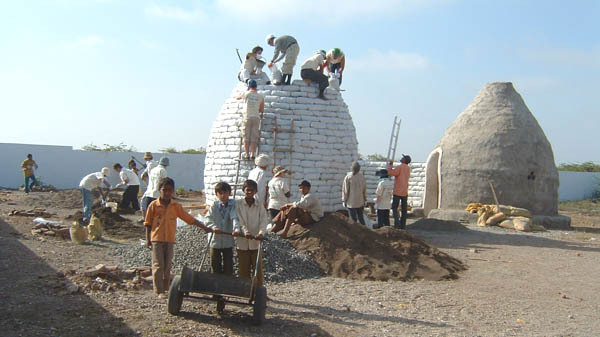 Also, plans are under way for the construction of a Grameen Pig Bank and a church using the earthbag technique.